Provide comfort for the family of Donald Nelson with a meaningful gesture of sympathy. Donald W. Nelson, 93, of Cheyenne passed away April 9, 2019 at Davis Hospice Center. He was born March 22, 1926 in Cheyenne to Walter and Elsie Nelson. He married Esther Coppock and she preceded him. He married Ruth Kleinschmidt on June 20, 1975 in Cheyenne and was a manager for Warren Livestock Company. He was a veteran of WWII serving in the US Army. He was a member of the of the Methodist Church, Cheyenne Frontier Days Heels and the Masonic Lodge. He is survived by his wife, Ruth Nelson; children, David Nelson, Susan Hulse grandchildren, Chris and Mike Hulse and Samantha Przygocki; five great-grandchildren; stepchildren, Collens Wakefield, Aron Wakefield, Linda Schrawyer and Twyla Wakefield; 12 step-grandchildren and 31 step-great-grandchildren. He was preceded in death by his first wife, Esther; parents; sister, Jean Novotny; and stepsons, Darrel and Terry Wakefield. Memorial services will be 11:00 a.m. Monday in the Lakeview Chapel at Schrader, Aragon and Jacoby Funeral Home with interment to follow in Beth El Cemetery. Those who wish may contribute to the charity of their choice. 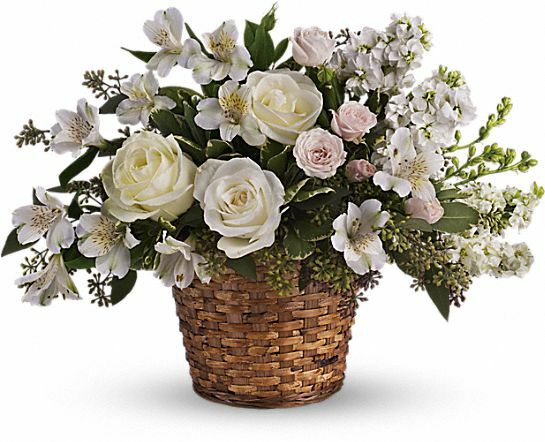 To send flowers in memory of Donald W. Nelson, please visit our Heartfelt Sympathies Store. From all of your grandchildren and great-grandchil and The Hulse Family have sent flowers to the family of Donald W. Nelson. My deep deep condolences to the Nelson family: May you reflect on the precious memories that you have made with your loved one. Losing a loved one can cause so so much sadness and pain of heart. So, I would like to share what helped us when our precious daughter died and later when my precious husband fell asleep in death due to cancer. I appreciated the calls and visits from people from all over. But I also, recall just sitting down and reading different Scriptures and meditating on them. It was so comforting to read that God cares for us personally... (1Peter 5:6, 7). Yes, He cares, He sees our pain. And, He Jehovah God will in His due time do away with All sicknesses & death (Isaiah 33:24 & Isaiah 25:8). He is indeed a God of comfort. Oh, wow He promises the hope of seeing our precious loved ones again (John 5:28, 29) and says where (Psalms 37:11). He always keeps His word. I hope that these few Scriptures were of some comfort to you as they were to me. To the family and friends of Mr. Nelson, please accept my sincere condolences. I am truly sorry for your loss. May the God of all comfort be with you in this tragic time. (2nd Corinthians 1:3,4). Grandpa - we'll miss you and your kind and optimistic spirit. Always in our hearts. From all of your grandchildren and great-grandchil purchased the Love's Journey for the family of Donald Nelson. Don - the patriarch of our family. Always a steadfast example of loyalty, stability, integrity, patience, and love. You'll be with us forever. The Hulse Family purchased flowers for the family of Donald Nelson.